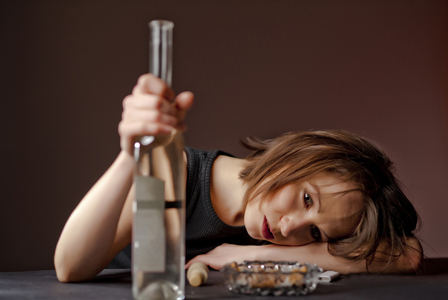 How to Help an Alcoholic - Is Alcohol Rehab Required? Helping an alcoholic loved one or friend to get help is never easy, particularly when he or she refuses to accept that the problem even exists. However, there are many ways that you can help this person without actually enabling him or her. If you know someone with an alcohol problem, your natural reaction may be to do everything in your power to help. However, it is often difficult to tell where alcohol abuse ends and alcohol addiction begins. How to Talk to a Family Member? Detox vs Rehab – Which Is Best? When Is It Time to Say Something? There is a fine line between the two and if the addicted person is refusing to admit that the problem exists, then it can be difficult to be sure. So how do you know if this person needs treatment? Is alcohol rehab required or would he or she simply benefit from cutting back on alcohol consumption? You may have been watching someone you know struggling to control his or her alcohol consumption for some time. However, because of the stigma that is often attached to the topic of alcohol abuse and addiction, you might have been reluctant to say something thus far. What you should know is that the affected individual might not be the best person to judge when his or her drinking is out of control. Alcohol can affect the area of the brain that is responsible for good decision making and logical thinking, so it is very likely that this person is unable to see what is obvious to you. So when is it time to say something? Moreover, what should be said? If you believe that the person in question might have a problem, know that it is better to say something now than allowing the situation to deteriorate even further. Even if you are wrong, at least this person will know that you care, and the worst that could happen is that you hurt his or her feelings. If you are right, you will have brought the subject to light and will force the affected individual to at least address the possibility that help is needed. Nobody wants to admit to having allowed their use of alcohol to get out of control. Furthermore, because abuse and addiction are such taboo subjects, most prefer to bury their head in the sand and hope that the situation will improve by itself. Unfortunately, this will not happen. If you believe your loved one has a problem and you have decided that the time is right to mention it, you may be wondering how to go about this. The first thing to know is that you should not approach this subject like the proverbial bull in a china shop. Using an accusatory or judgemental tone will simply cause your loved one to close up and become defensive. You need to take a step back and put yourself in the person’s shoes. Think about how you would feel if someone you love was to approach you with a similar problem. How would you like the conversation to go? Remember that your loved one is likely to feel ashamed or humiliated when told that he or she is drinking too much and that you have noticed a change in behaviour. The first reaction may be to deny the problem exists. Be sure to show empathy and concern rather than disapproval. Experts recommend positive language be used and that you avoid criticism or labelling. You might find that your family member is more open to the suggestion that he or she is ‘in danger of developing a problem’ rather than already having one. You may already be well aware that you cannot force an alcoholic loved one or friend to accept help if he or she is not ready to do so. This may give you the perception that you cannot save or change an alcoholic – this is not true. It is hard to watch someone you know destroying his or her life because of the pull of alcohol, especially knowing that you cannot do anything to stop them. What you should be aware of though is that the affected person has no control over alcohol. He or she is likely to be physically and psychologically dependent on this substance and is compelled to drink, even when knowing that doing so will cause negative consequences. What you should be aware of though is that the affected person has no control over alcohol. He or she is likely to be physically and psychologically dependent on this substance and is compelled to drink, even when knowing that doing so will cause negative consequences. The truth is that while you cannot force an individual into treatment, you can be there for him or her and you can try to encourage the person to see how serious his or her situation really is. What you should not do is allow the affected person to take over your life. However much you want to help, you will only be enabling your loved one or friend if you allow him or her to use your love or friendship against you. Remember that alcoholism is an illness that can cause the person in question to change. He or she will likely become manipulative and selfish in the pursuit of alcohol, and nothing will stand in the way – not even you, as difficult as this might be for you to come to terms with. If you want to help your alcoholic loved one or friend, you are going to have to be strong. To see someone, you care for struggling with alcohol addiction, and watching the change in him or her can take its toll and leave you feeling upset and frustrated. It may even leave you weak and vulnerable. To help the person, you will need to know more about alcoholism and how you can guard against it. Find out all you can about how this illness might be affecting the individual. Get in touch with your local Al-Anon group; a group set up to help family members of those suffering from chronic alcoholism. By joining this organisation, you can meet with other people in a similar position and get advice and counselling to help you deal with your own situation. You might get to a stage where you have little choice but to stage an intervention for the addicted individual. You may have been hoping to get the person to accept a diagnosis of addict before having to resort to a face-to-face meeting with a group of family members and close friends to encourage the person into treatment, but this might now be your last resort. Fortunately, interventions are very effective at encouraging addicts to accept help, provided these are managed effectively. If you need help with staging an intervention, contact us for information. Alternatively, we can put you in touch with a professional interventionist who can stage the process for you. The recovery process from alcohol addiction is tough, and the affected individual is going to need plenty of support during treatment. In fact, a good network of support can make all the difference in terms of a full recovery. While you cannot recover for the person in question, you can be there for him or her. It is important that he or she knows that you are supportive and that you are willing to do everything you can to make it easier for him or her to recover fully. There are those who wonder whether detox or rehab is best for an alcoholic loved one or friend, but the reality is that both are usually required. 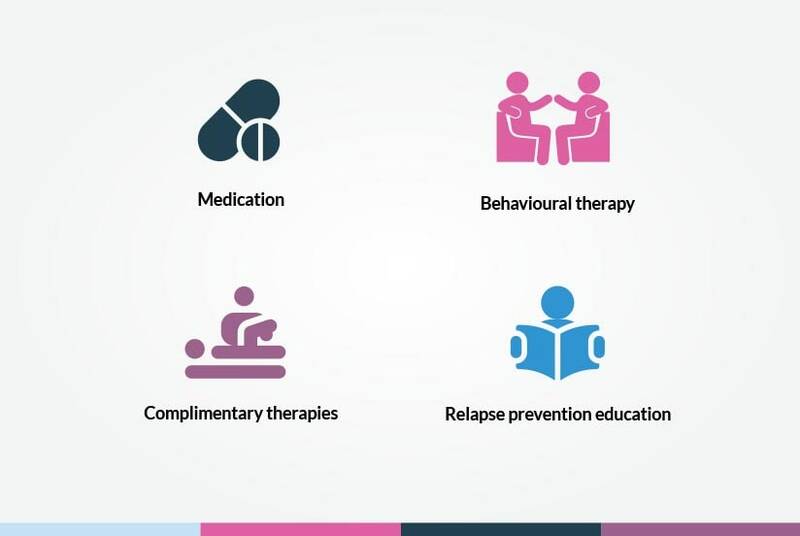 A comprehensive recovery programme will include detox, rehabilitation, and aftercare; statistics show that those who complete a detox without following on with a rehab programme are more likely to suffer a relapse at a later date. Recovery should also include ongoing maintenance in the form of aftercare and follow-ups. Co-dependency is a big problem in families where alcoholism is also an issue. Those who develop co-dependency tend to interact with the alcoholic in a way that has a negative impact on their own life. Some would say they have developed their own dependency, only it is on the addict and not on a substance such as alcohol. Those with co-dependency tend to put the needs of the alcoholic before their own. They may enable the alcoholic by covering-up or rationalising addictive behaviour. Others will become isolated and withdraw from society in a bid to hide their addicted loved one’s condition from the outside world. One of the best ways to support a person you love or care for in treatment is to ensure him or her that things are being taken care of while he or she is in treatment. This individual will need to focus all his or her energy on getting better and will find it easier to do this if there is no need to worry about home issues. If it is a loved one working hard on learning how to live without alcohol and other mood-altering substances, on his or her return home it would be helpful if you have already cleared out all temptations. This includes prescription medication and substances that you might not even think contains alcohol, such as cleaning products and certain foods. Take a good look around because your loved one might have a secret stash of alcohol that he or she used when addicted. The person will want to know that you are there for him or her, so staying in touch may be important. However, it is a good idea to check with the rehab provider to discuss their views on this. You might find that the staff at the treatment centre would prefer you to stay away in the early days because there is a chance that a visit could trigger addictive behaviour. It may be better to write a letter to the person instead of phoning or visiting. That way, he or she will know you are there but there is less risk of something being said in the heat of the moment. While your loved one is in treatment, you will have the perfect opportunity to take care of yourself again, which is an important part of being supportive. You have probably been deeply affected by the person’s addiction and now that he or she is being taken care of by a team of counsellors and therapists, you will have time to dedicate to getting yourself strong again. This might be an ideal time for you to attend Al-Anon meetings and get involved with other people in a similar position to you. A part of your loved one’s rehab programme may include family therapy; if this is the case, it is advisable to get involved. This may include group sessions with the person and his or her counsellor, or individual sessions between you and a counsellor. Either way, family therapy is a great way to heal the whole family and deals with issues that may have caused the addiction or those that have been caused by it. Can hypnosis help an alcoholic? Hypnotherapy is commonly used as part of a recovery programme for alcoholism. This type of treatment can relax the mind and leave it open to suggestion. Hypnotherapists can access the subconscious brain while a person is in this state of relaxation but still fully aware of what is happening around him or her. It can be used to help with relapse prevention. There is a very fine line between helping an alcoholic and enabling this person. If you want to help an alcoholic loved one, for example, it is important not to be helping in such a way as to make it easier for him or her to continue with the addictive behaviour. Try not to give money to a person with alcoholism even if he or she tells you that it is needed for food or to pay bills. Suggest that you will help by accompanying him or her to the doctor, or by finding out all you can about treatment for the illness. You are probably already aware that you cannot force someone with alcoholism to get help if this person is not ready, but you can try to convince him or her that this help is required. Talk to the person and explain the harm that his or her actions are causing to their life and the lives of others. Remind him or her of the importance of getting help and, if necessary, issue an ultimatum. However, if you do this, it is important that you are prepared to follow through on it. Spouses often suffer greatly because of their partner's alcoholism. They have to live with the chaotic and unpredictable behaviour constantly, and they may be suffering both verbal and physical abuse. He or she may be taking over the responsibilities of the alcoholic spouse and trying to forgive behaviour that, to others, might appear unforgivable. If you are worried that someone you care for is married to an alcoholic, you can help by providing love and support. Speak to the affected individual and tell him or her about Al-Anon, the family support group that gives advice and information for the loved ones of alcoholics. Alcoholics often struggle with money because they spend every available penny funding their habit. They may then beg and plead with loved ones and friends for money to either pay for bills and food or so that they can continue with their downward spiral of alcohol abuse. Giving money to an alcoholic is, therefore, a bad idea as it only enables him or her to further continue with the addictive behaviour. It is better to offer love and support and provide information that will help the person to get better. If an alcoholic you know relapses after a programme of rehabilitation, you should not see it as the end of the world. Nor should you express disapproval or judgement. This person is in need of immediate help and will probably be feeling bad enough already. Getting help for him or her at this point can be the difference between a slip-up and a full-blown return to alcohol use. Call us here at UKAT for advice on what to do if you find yourself in this situation. The best way to help an alcoholic help him or herself is to offer love and support. Be positive and support him or her through the ups and downs, however difficult this may be. You might have heard the saying ‘you have to be cruel to be kind'; when it comes to helping alcoholics, this is so true. Do not give the affected individual money or any other help that might enable him or her to continue abusing alcohol. You may find that the only way to encourage the person to help themselves is to ensure they are held to account for their actions.